I don’t know if you already know this but I am a huge lover of virtually ANY lip product, lipsticks, lip balms, you name it I’ll probably buy it. Which is good because then I can find the best ones for you guys! I consider myself quite the lip balm connoisseur. I have spent an obscene amount of money on different lip balms in the past from luxury expensive lip balms to the simple inexpensive £1.99 lip balms. 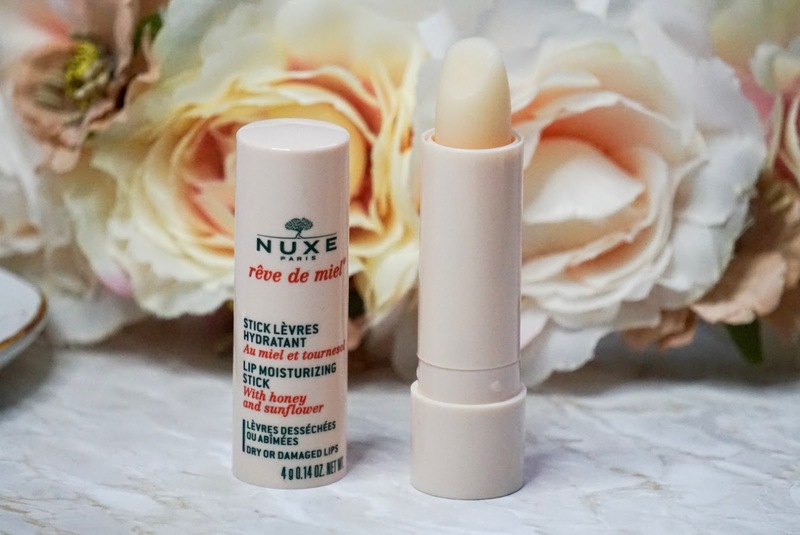 I have an entire list of ones I would recommend like Nivea which are cheap and cheerful but they work super well but I wanted to talk about some lip balms that are a little more special and that work beautifully. These products are the ones that I will continually choose over any other lip products. 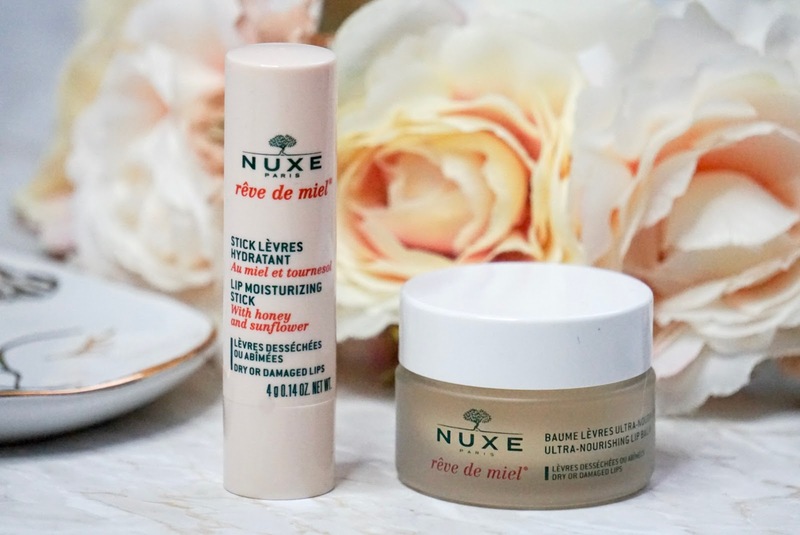 Nuxe is the brand I am talking about. They have quickly become my favourite skincare brand. 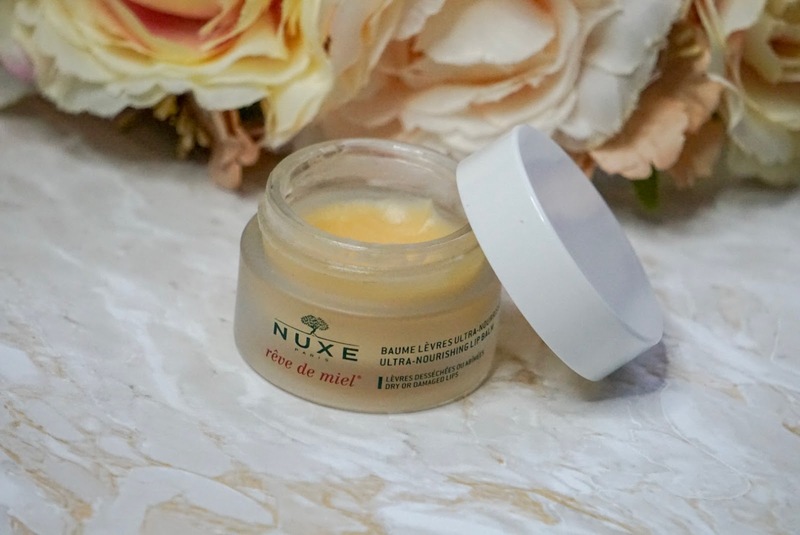 I received my first Nuxe moisturiser in one of my subscription boxes by Look Fantastic and I was obsessed with it, I then had a couple more products sent through the monthly sub boxes by Nuxe hadn’t found a product by Nuxe that I wasn’t fully happy with. I repurchased many items and the lip products are my most used products. These two are practically the same. One comes in a jar and the other is in your typical conventional tube. They have the same formula which is a gorgeous, thick luxury texture and it has the same scent which reminds me a bit of a lemon cheesecake it smells amazing. The ingredients are pretty similar to each other using mostly honey, shea butter, argon oil, sunflower extract it leaves your lips feeling amazing and because it’s quite matte, you don’t have that horrible overly glossy sticky texture on your lips. These are the babies I use every single day without fail, whether Its a full-blown makeup routine or a no make up kinda day. I use the jar before bed every night as it feels a lot thicker which I think is due to the fact that by using a jar you are able to scoop the desired amount so I can use it before bed to essentially act as a little lip mask. I love the fact it has a matte finish instead of a super oily finish too, it feels much nicer. The tube is just a typical lip balm so you apply with the stick and gives you a more controlled application with just enough product, obviously you can keep building if you want it super thick but I tend to use the stick on the go it literally lives in my handbag or pocket I am forever using this product! My ultimate holy grail. These are the products that work for my lips when they’re dry and ones I actually really enjoy using again and again. Don’t forget you can follow me on any of my social media platforms by clicking the social media icons so you can stay up to date! Previous Post The Beauty brand you really need to know about! – Hello Jo!